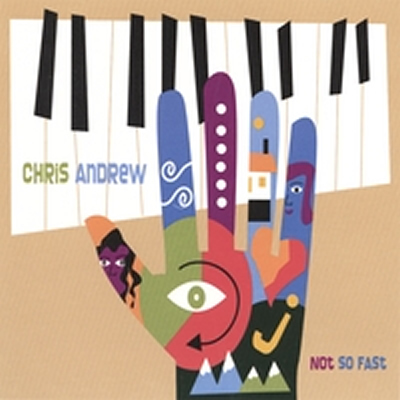 Chris Andrew’s first solo-composed album, “Not So Fast” features 10 contemporary jazz tracks. Each song suggests a story, an exploration. From the exuberant buoyancy of “Aaight” to the introspective acumen of “Reflections,” and the confident authority of “Not So Fast,” this album weaves together the emotional layers that make us human. The Chris Andrew Trio is rounded out by bassist Mike Lent (Jann Arden, KD Lang) and Juno-nominated drummer Sandro Dominelli.